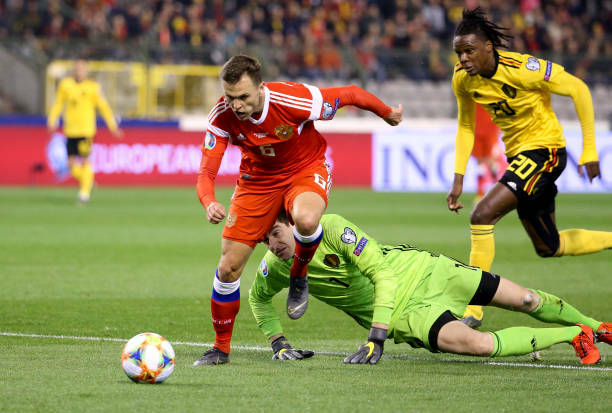 Belgium opened their qualifying campaign for Euro 2020 in style on Thursday as Chelsea forward Eden Hazard scored two goal to help his country earn victory over Russia. 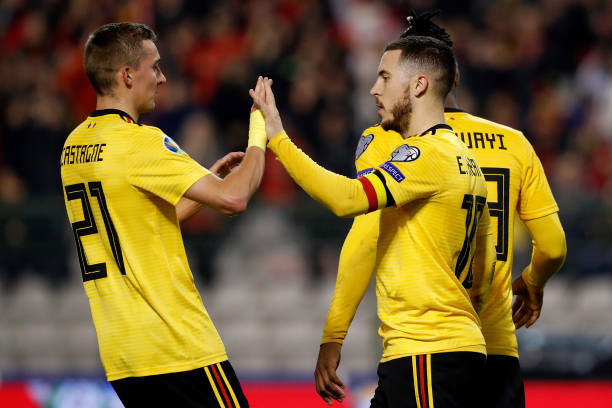 2018 World Cup semi-finalists Belgium earned a battling 3-1 win over Russia in Brussels as Hazard struck twice for Roberto Martinez's side in their opening game in Group I. Youri Tielemans rounded off a flowing move with a crisp low strike to fire Belgium ahead on 14 minutes at the King Baudouin Stadium, but Thibaut Courtois gifted Russia an immediate equaliser. Meanwhile, Memphis Depay inspired Netherlands to a 4-0 win over Belarus. Cyprus thrashed San Marino 5-0 to provisionally seize top spot in the group, while Scotland crashed to a humilating 3-0 loss in Kazakhstan a nation ranked 117th in the FIFA rankings.